Given that the Philippines archipelago consists of over 7,000 islands spanning 300,000 square kilometers, it’s amazing that these diverse territorial islands form a united country. 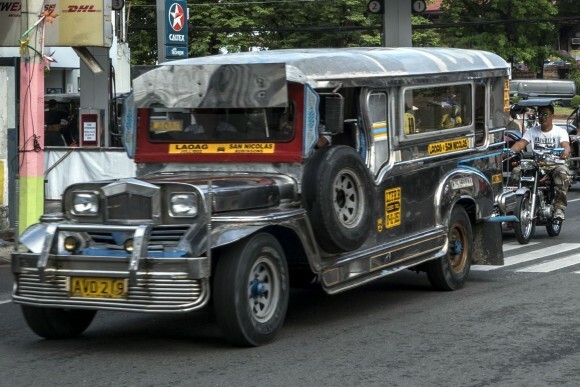 The Philippines’ heritage is a combination of natives who once lived in caves, followed much later by a dramatic occupation by the Spanish and then a strong American influence after the Second World War. Surrounded by the seas of China, Taiwan, Vietnam, Malaysia, and Indonesia, it is the only Christian state in Southeast Asia. On my recent visit I landed in Manila but planned to escape the capital’s tempting attractions to discover the lesser-known province of Ilocos Norte, 400 kilometres north on the island of Luzon. This region of the Philippines has much to offer but is not usually on the international tourist circuit, and that’s part of the reason it attracted me. I stayed at the luxury Fort Ilocandia Resort hotel just 20 minutes from the city of Laoag. The resort was built during the Ferdinand Marcos era for the wedding of his daughter. This was and still is Marcos country, and the legacy of the former long-term president and his family is everywhere. I first headed for Aurora Park at the end of Marcos Bridge to check out the Tobacco Monopoly Monument, one of the landmarks of the city. It was built in 1881 in commemoration of ending the tobacco monopoly to benefit Ilocanos tobacco workers. Opposite the monument are the Ilocos Norte Provincial Capitol building, constructed in 1917 in the neo-classical style, and the Marcos Hall of Justice. As I strolled through the town centre I went in search of the old heritage of the city, which was founded by the Spanish in 1580. The most important remaining symbols of colonization are churches and towers. 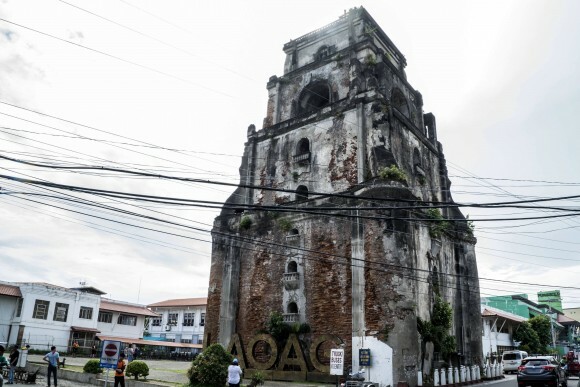 I visited the baroque-style Laoag Cathedral and its Sinking Bell Tower. 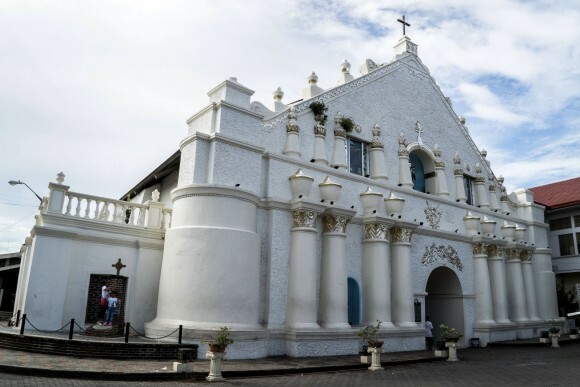 The façade of this historic church depicts the image of San Guillermo el Ermitano, the city’s patron saint. 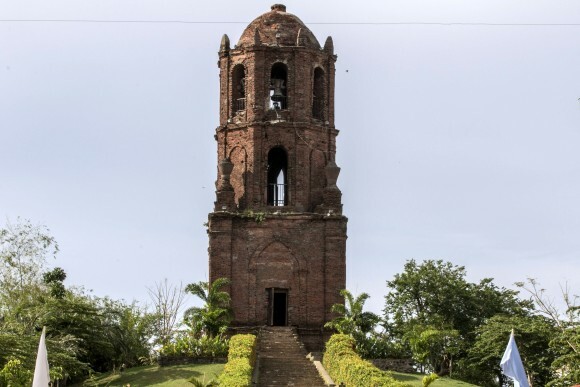 The bell tower, built in 1612, is 85 metres away from the main church—common in the Philippines because of earthquakes—and was constructed using locally made bricks and lime stucco plaster. It is known as the Sinking Bell Tower because it sinks into the ground at the rate of an inch per year due to its heavy weight and because its foundations are in sandy ground. It is interesting to note that the bell towers of churches in the Philippines were not solely religious monuments. They had another purpose—they acted as watchtowers to observe pirates and any activity or attacks by enemies. These towers also witnessed a fundamental change when Filipinos revolted against the Spaniards and used the towers as part of their fight. 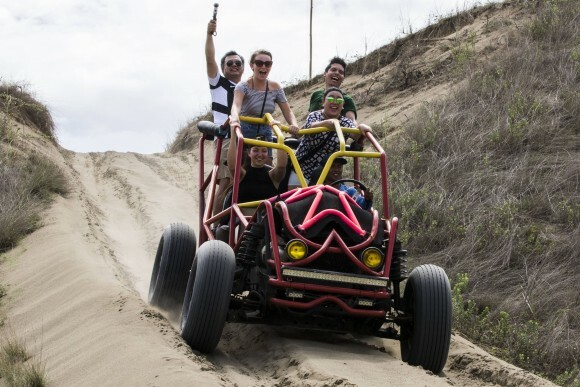 Venturing beyond Laoag, my first stop was the La Paz Sand Dunes. The dunes are only six kilometres from the city but it was a bit like arriving in the Sahara desert. The hilly, loose sands are formed over a long period of time by wind and the flow of seawater. 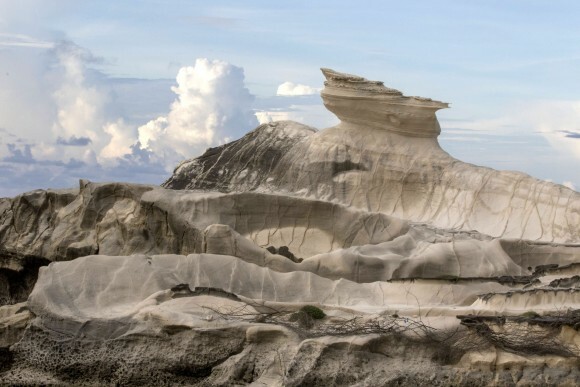 The formations have created slopes of up to 30 metres that are perfect for rough-terrain riding in 4×4s, just like in the movie “Mad Max.” In fact, scenes from “Mad Max” and “Born on the Fourth of July” were shot here. 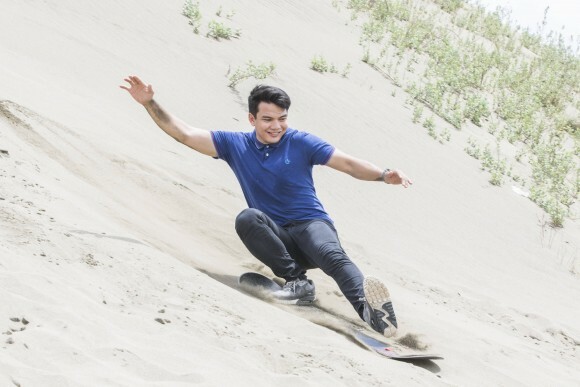 Another popular activity is sandboarding from the top of slopes. I continued south to Ilocos Sur province to visit the historic city of Vigan, stopping at Plaza Burgos at the centre of the town. 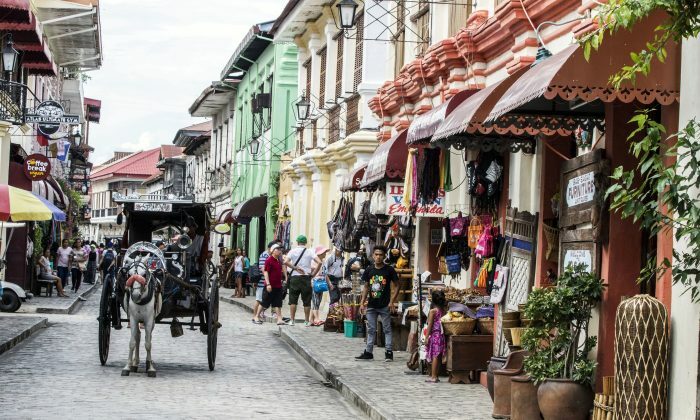 As I walked in the old town, it was easy to see why Vigan was designated a UNESCO World Heritage Site in 1999. The cobblestone streets are restricted to pedestrians and horse-drawn carriages, allowing one to imagine what life was like there in the 18th and 19th centuries. Freshly painted white and yellow hotels and shops are intermingled with the old grey stone buildings from the past as well as two-storey buildings made of brick and wood with Chinese-style roofs. 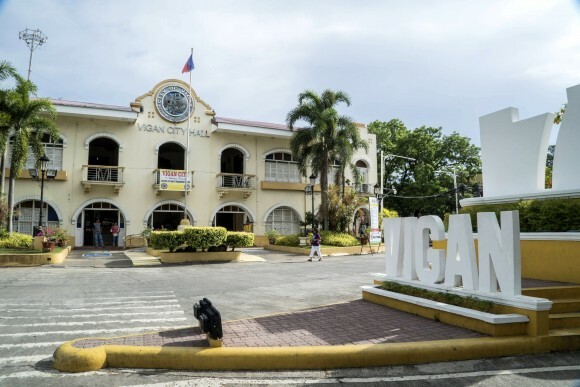 Significant buildings in Vigan include St. Paul’s Cathedral, the Archbishop’s Palace, City Hall, and the Provincial Capitol Building. In the nearby town of Bantay I visited the St Augustine Church, built in 1590. The bell tower of this church stands on top of a hill overlooking nearby mountains and the South China Sea. From the top of the tower I enjoyed a panoramic view of Vigan and Bantay against a backdrop of the mountains and the seas beyond. During my short stay I visited several other attractions in Ilocos Norte and Sur, including Cape Bojeador Lighthouse, Kapurpurawan Rock Formation, and the wind turbine farm at Bangui Bay, but my trip ended all too soon. 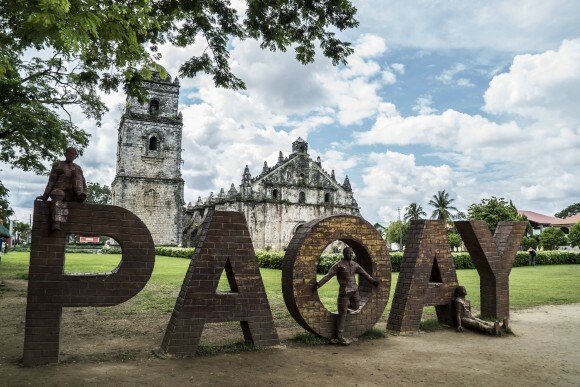 On my bucket list for my next visit to the Philippines are Paoay Lake and the nearby Marcos Memorabilia Museum, the Juan Luna shrine, the Bacarra Domeless Tower, and the many natural caves that are located around Ilocos. I can hardly wait.